(Trenton) – The New Jersey Department of Transportation (NJDOT) today announced a project to resurface nine miles of Route 322 (Black Horse Pike) in both directions from the vicinity of Eighth Street in Folsom Borough to Route 50 in Hamilton Township, Atlantic County. NJDOT’s contractor, A.E. Stone, Inc., is scheduled to start preliminary construction activities including site mobilization and sign installation on Monday, July 8, requiring shoulder closures. The $4.3 million project will resurface Route 322 in both directions with a new surface course of asphalt pavement. The project will improve motorist safety and extend the pavement lifespan along the full width of the roadway, including all travel lanes, turn lanes, shoulders and median openings. Upgraded roadway striping and ADA-compliant curb ramp upgrades will also be provided as needed. New traffic signals and highway lighting will be installed at the intersection of Weymouth Malaga Road to replace the existing signals. At least two travel lanes will be maintained throughout construction with lane closures allowed daily between 6 a.m. and 4 p.m. Access to all businesses and residences along the state highway will be maintained throughout construction. 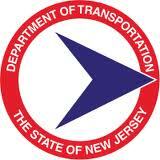 The project—designed in-house by NJDOT engineers—is scheduled for completion in early 2014. Dynamic message signs will notify motorists of all upcoming traffic pattern changes. The precise timing of the work is subject to change due to weather or other factors. Motorists are encouraged to check NJDOT’s traffic information website www.511nj.org real-time travel information.